The Indians are undefeated and may be in a perfect position to play spoiler in the 2A DI playoffs. Price Carlisle found itself in a unique situation when Rocky Baker made the decision to step down as the team’s head coach after 13 years. Instead of having to bring in an outsider with a new offensive and defensive scheme and an entirely new coaching staff, Baker left the program in the hands of his son, Clay Baker, who was an assistant on staff for nearly a decade under his father. Rocky Baker is still around as the program’s athletic director and defensive coordinator, only further easing the transition as Clay Baker is in his first season as the team’s head coach. The Indians haven’t missed a beat and have already secured the District 10-2A Division I championship with one week to go in the regular season. Carlisle is a perfect 9-0 this season and has already matched its win total from last year when the Indians went 9-4 and advanced to the third round of the playoffs before falling to San Augustine. With Clay Baker running the offense and Rocky Baker taking full charge of the defense, Carlisle has outscored its opponents 450-70. The defense is giving up just 7.7 points per game, down from 19.6 last season. Senior linebacker Walker Adams is the team’s leading tackler with 105 tackles and 14 TFL this season while Alex Garza (55 tackles, five TFL), Jamion Turner (54 tackles, 13 TFL), Louie Garza (52 tackles, 13 TFL) and Trey Adkison (42 tackles, three INTs) have stepped up as well. On the offensive side, Gerald Turner has shined at quarterback after taking over the position full-time this year. Gerald Turner rushed for 524 yards and 15 touchdowns and caught 35 passes for 534 yards and five TDs last year before transitioning to quarterback, where has now led the offense to an average of 50 points per game. 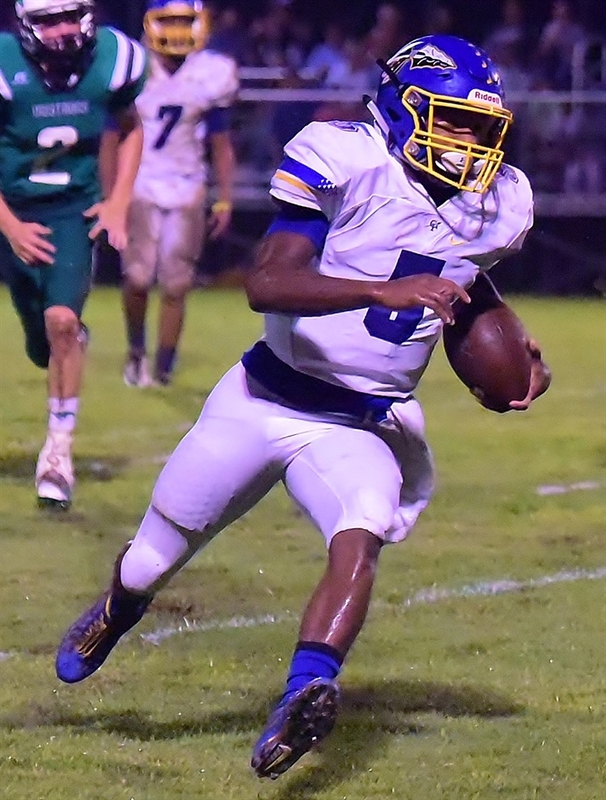 Gerald Turner has thrown for 1,223 yards and 13 touchdowns – including six to senior Jay Price, who leads the team with 40 catches for 736 yards – while rushing for 963 yards and 19 TDs to pace the Indians’ offense. His younger brother, Jamion Turner, is the team’s starting running back as a sophomore and has rushed for 652 yards and 13 TDs. 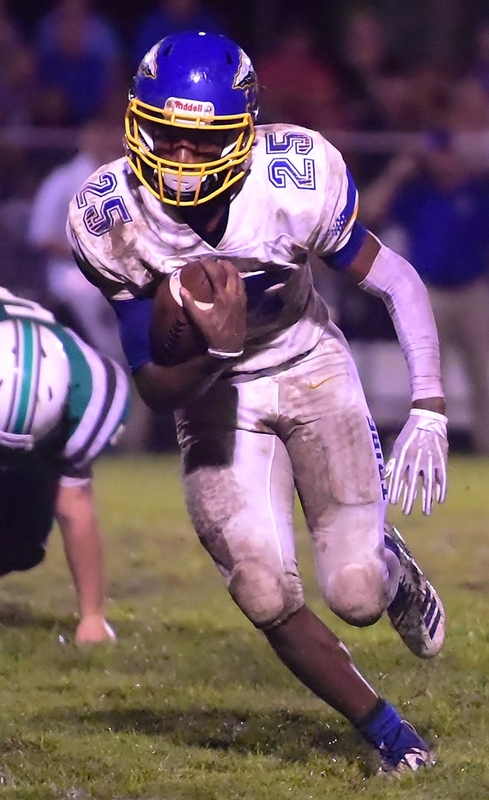 Carlisle hasn’t been tested much in the regular season since a Week 2 win over Class 3A Troup, when the Indians came from behind in the fourth quarter to secure a 35-28 victory. Troup was the only team to score more than 12 points on Carlisle this season, as the Indians have outscored their opponents 371-33 since that victory. The team will take on Hawkins at 7:30 p.m. Friday in the final game of district play before shifting its focus to the postseason, where the Indians are looking to make another deep run. Carlisle has gone at least three rounds deep in three of the last four seasons. “We’re looking at this last game as a way to build more momentum and confidence rolling into the playoffs so we can get to the point where we’re playing our best football,” Baker said. “I feel like we can play with anybody we line up across from. We understand we’ll play some really good teams in this region and it could go a lot of different ways.